The moment it was announced that a young, white American woman was going to write a script for the true story of a young Syrian refugee, the backlash began. The American in question is Lena Dunham, who is best known for creating and acting in a TV series called “Girls,” about four young women living in New York. 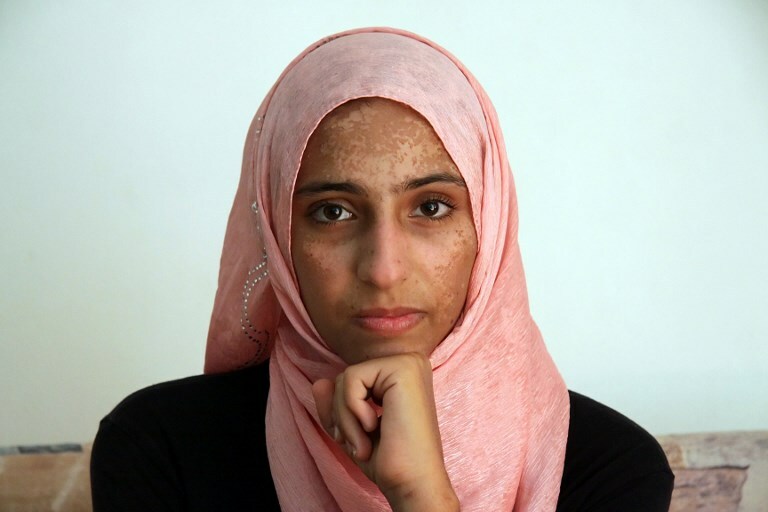 The Syrian woman is Doaa Al Zamel, whose boat sank crossing the Mediterranean, drowning her fiancé and stranding her alone with two babies that were not hers. Al Zamel’s story was told in the book “A Hope More Powerful than the Sea,” by an American author called Melissa Fleming who works for the United Nations. Fleming’s book was not well-reviewed, criticized for being “bland” and for burying the voice of Al Zamel. Still, the story, both harrowing and gripping, unsurprisingly made its way to Hollywood’s studios. Which is where the problems began. “This is not your story to tell. Let a Syrian tell it,” was one of the first comments to Dunham on social media and the broad thrust of the torrent of criticism that followed. Did she know anything about refugees or Syria? Were no female Arab writers available to write the script instead? Was Dunham merely profiting from the pain of refugees? Perhaps surprisingly given the polarization of debate on Twitter, the tone of the comments was one-dimensional, with practically none supportive of the decision to let Dunham write the script. Such criticism segued into two much larger conversations that are current within cultural circles. The first is the idea of “white-washing,” the belief that too often stories from outside white, Western culture are written for, portrayed by and interpreted through the sensibilities of Western culture. The second is about who has the right to speak for or portray certain cultures or characters; a classic example being whether a male author can convincingly write a female character. The most forceful version of that argument – and the one that those who wish to defend some form of appropriation, or at least the status quo, parody – is to say that Dunham, or anyone who isn’t Syrian, should not tell Syrian stories. On the face of it, this is patently absurd, which is precisely why the argument is parodied by its detractors. The more nuanced version of the argument is that Syrians – or indeed any other group outside a narrow range – rarely get to tell their own stories, and it is important that they get to do so in an authentic, high-profile way. This leads to a second aspect of this cultural debate, which is often presented by arguing that if a Syrian did tell the story, it would not be as widely heard. Yet that statement is quite astonishing in that it reveals a profound prejudice that either a Syrian writer would not be as good, or that the public would be too prejudiced to listen. Both are untrue. Syrian culture has been historically, and is currently, one of the driving forces of Middle Eastern culture and there is every reason to believe that Syrian stories would translate to a different language and a different culture, in the same way that American stories, told in print or on film, have translated abroad. Good storytelling is universal. What Syrians need is exactly what American women and African-Americans, and so many others, in Hollywood need: the opportunity to tell their own stories to a wide audience. When asked why all the lead actors in his biblical epic “Exodus” were white, director Ridley Scott said he couldn’t make a big budget film with a lead actor called “Mohammad so-and-so.” Similar arguments have been made about this film. But secondly, and most damningly, a first-time author is being offered the opportunity: this will be Dunham’s first time writing a major film. “Mohammed-so-and-so” may not be offered the gig, but “Lena-so-and-so” was. The controversy puts the Hollywood studio in a difficult position. Ignore it and it seems as if they are ignoring yet another issue that matters to people of color. But change the writer and it seems like one more admission that writers need to have first-hand experience of their subjects, something fiction-writers, especially, are wary of. Strangely, though, the broader diversity debate seems to be one where Hollywood’s culture actually trumps Hollywood’s business. Because the case for filmmakers with “skin in the game” to tell their own stories has already been comprehensively proven by this year’s “Black Panther” superhero film. “Black Panther” was directed, written and starred African-American actors telling what has been called an “Afro-centric” story. “Black Panther” is the most commercially successful superhero movie and the third highest grossing movie of all time. A significant part of that success must be down to how authentic it was, how tied into the real world of contemporary politics the fictional universe felt. The business case for such diverse talent in filmmaking, then, has been comprehensively proven. Yet somehow, on this, Hollywood still holds back, defaulting to its prejudices and letting the usual suspects tell stories to an ever-more diverse viewing public. Al Zamel’s story is both harrowing and ultimately uplifting, the sort of story that, if done well, is perfect for a Hollywood treatment. But to do it well requires some understanding of the trauma, or the experience to translate complex real-world themes to the screen. This might be a moment for Dunham, for all her talent, to stand aside and let someone else take the stage.